Palisades Patrol reports a man was found deceased today near the Pacific Palisades Woman’s Club on Thursday, Nov. 3. According to police, the death is being treated as an overdose or a suicide. 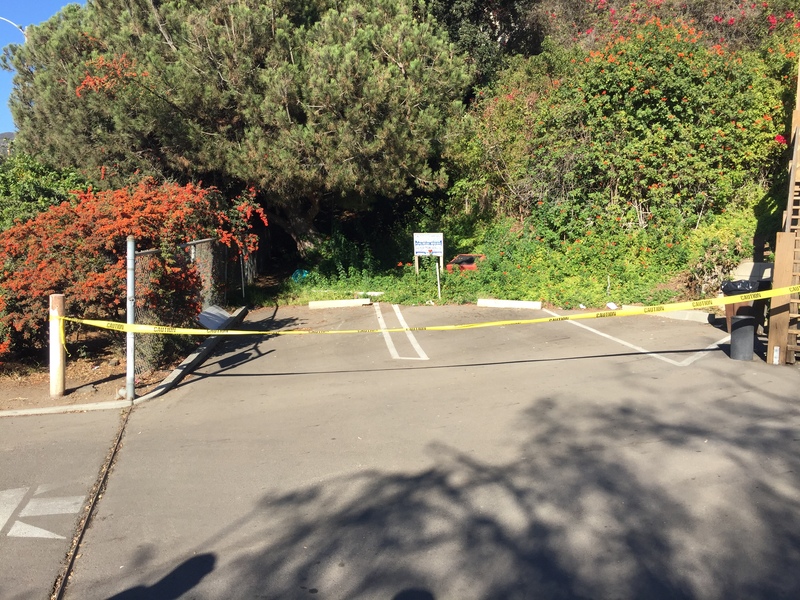 Shortly 3 p.m., a walker using the club’s staircase noticed a body sitting cross legged and slumped forward in the bushes and under a tree, next to Temescal Canyon Road and north of the parking lot exit, reported Palisades Patrol. A deceased man was found in this wooded area near the Pacific Palisades Woman’s Club on Nov. 3, 2016. Los Angeles police and fire departments responded and found the man deceased. He was wearing dark blue clothing. According to LAPD’s Sergeant Seagrove, the man is in his late 30s and there were sleeping pills, pain pills and alcohol found next to the body. The death is possibly an overdose or a suicide. The coroner is on the way. LAPD estimates the man has been there less than 24 hours.